entreVIEW: New Minnesota Income Tax Developments—Is Everyone and Anyone Going to be Considered a Minnesota Resident? New Minnesota Income Tax Developments—Is Everyone and Anyone Going to be Considered a Minnesota Resident? There is a new proposal from Governor Dayton that would change the landscape of how many people view their residency status. This is not official; I repeat—THIS IS NOT OFFICIAL. I don’t want everyone to panic and start driving south, but it is possible and we should discuss it. 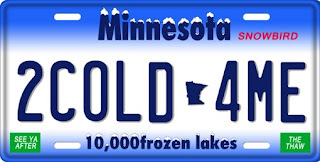 The new proposal would make every person that spends 60 days (whole or partial) in Minnesota, and has a residence that is suitable for year-round use, whether owned or rented, a Minnesota resident and subject to Minnesota income tax. Currently, there are a number of factors that determine residency, the major one being the requirement that you spend at least 183 days in Minnesota. There is a major difference between spending 183 days in Minnesota and a mere 60 days (123 days, if my elementary school math skills are still working). The traditional “snowbirds” spend the summer here, and then migrate South for the rest of the year. A change to 60 days would mean less than half the “nice” months in Minnesota (not to be confused with “Minnesota Nice“). What does this mean? Other than the expected outcry from those who love their lake homes and treasure the summer months they spend here, but also love the no income tax environments of Florida, Texas, Arizona, and others, this means major changes to our local economy. Well, at least in my opinion—I guess if you assume that everyone who currently does so will continue to spend more than 60 days in the state and pay additional taxes, then it may not be such a big deal. Take one example: country clubs. Not that I think we need protective legislation for country clubs, but it serves as an easy example. The way country clubs collect membership dues to pay for the upkeep of the buildings and golf courses are broken up between food and beverage minimums, and monthly dues relating to peak season expenses. Peak season is usually April through October. Dues typically increase up to ten times during this period, and this is also the time members use their food and beverage minimums because they are using the facilities. Also, I would guess that the demographics of country club members are made up of quite a few snowbirds. If this new residency requirement goes through, a typical snowbird can only spend 60 days on Minnesota soil, and it won’t necessarily all be during peak golf season. I think country clubs may have a hard time keeping members, let alone getting them to pay for 5 or more months of peak golf season that they aren’t using. Use the country club example and expand that to restaurants that cater to the summer months, rental summer homes, lake homes in general, and the local economies of the cities that our lake homes are located near (Brainerd, Duluth, Alexandria, and others). If it is going to require that snowbirds sell their lake homes, apartments, or other seasonal homes, the real estate market will be flooded and diminish values.